Himalayas, the highest mountain range in the world, extend along the northern frontiers of Pakistan, India, Nepal, Bhutan, and Burma. Nestling five major states of the country within it, Himalayan range covers the entire northern part of India. Many major mountains are located entirely within India, such as Nanda Devi (7,817 meters) in the state of Uttar Pradesh. The Himalayan system is made up of three parallel ranges, the Greater Himalayas, the Lesser Himalayas, and the Outer Himalayas. These are about 2,400 kilometers in length and varying in width from 240 to 330 kilometers. Sometimes these Himalayas are also called the Great Himalayan Range. The snow line averages 4,500 to 6,000 meters on the southern side of the Greater Himalayas and 5,500 to 6,000 on the northern side. The snow line in the eastern Himalayas averages 4,300 meters, because of climatic conditions while in the western Himalayas it averages 5,800 meters. The ancient Indian pilgrims who have travelled in these mountains since time immemorial coined a Sanskrit word for the Himalayas meaning "Abode of Snow". 'Abode of Snow is also known as the king of mountains. Himalayas is the youngest system in the world formed in Oligocence period. Himalayas gave birth to great rivers Indus and its four tributaries. In India, Himalayas have been a land for worshiping and the abode of Lord Shiva. Most of the tourists are attracted towards Himalayas for its lovely trekking hikes and the lovely people of the mountains with their unique hospitable lifestyles. Entire northern part of India is covered by Himalayan range, covering five major states - Jammu and Kashmir, Uttranchal, Himachal Pradesh, Sikkim and North Eastern Seven Sisters (Assam, Arunachal Pradesh, Nagaland, Manipur, Tripura, Meghalaya and Mizoram). The altitude of Nepal Mountain Region ranges between 4877-m.- 8848 m. It includes 8 of the highest 14 summits in the world, which exceed altitude of 8,000m including Annapurna, Dhaulagiri and others. Nepal is the home of the World's highest mountains and the forested plains. Mount Everest lies in the same area. Situated in the heart of the great Himalayas, Bhutan is flanked on the north and north west by Tibet, the plains of North-East India to the south and south west and the hills of India's north eastern state of Arunachal Pradesh to the east. Bhutan is also called the mountain kingdom and is the worlds most exclusive tourist destination. Bhutan is also known as the land of the Thunder Dragon. 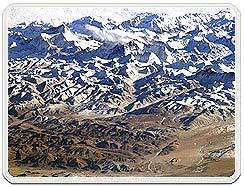 Tibet is called the "Roof of the world". Even the valley bottoms of Tibet are higher than the highest mountains elsewhere. The on road adventure is a drive of over about 970-kms. This Trans-Himalaya drive goes through the four mountain passes. Jammu & Kashmir : The Himalayan range in Kashmir offers some of the most rigorous mountaineering challenges one can ever come across. The glaciers of Ladakh and Kashmir regions are great sightseeing. And the Siachen glacier known as the largest glacier outside the Polar Regions. 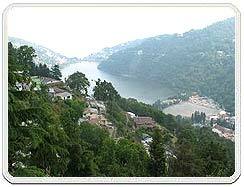 Uttaranchal is known as the "Devbhumi" that has attracted tourists and pilgrims from world over since time immemorial. Comprising of eight hill districts and an area and population that equals the state of Himachal Pardesh, Uttaranchal is an expression of divinity, austerity, meditation, penance and attainment. Uttaranchal is a paradise for adventure sports. The sheer variety ranging from Mountaineering, , Skiing, Skating, Trekking, Water Sports to Aero Sports like Hang Gliding, Paragliding make Uttaranchal one of the most attractive destinations for adventure sports not only in India but the world over. Himachal Pradesh is the land of snow, cascading streams, alpine meadows & lush fruit-laden valleys. Many parts of the Himachal state have a distinctly Austrian look with conifer-clad mountains, chalet-like huts with overhanging balconies and serene blue valleys watered by snow-fed streams. 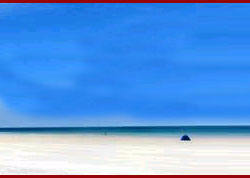 Himachal also have wonderful hill stations. Shimla, Dalhousie, Kullu, Manali and Kufri are a few of the hill Stations which offer breathtaking scenery and countless options of adventure sports . Dharamshala, where the Dalai Lama lives, is another important centre on the tourist map. Sikkim is now the 22nd State of India. It is rooted to the Himalayan Massif like a scale on the neck of a Dragon. Sikkim One of the smallest states of India. An awe-inspiring mass of rock clothed in dazzling white snow, this Himalayan giant in the world's third highest peak at 8,590m (28,199ft). The name itself means 'house of five treasures' represented by its five soaring summits. The seven sisters comprise of Assam, Arunachal Pradesh, Nagaland, Manipur, Tripura, Meghalaya and Mizoram. While the seven sisters are unique in their own way, the major Himalayan destination over here is Arunachal Pradesh. The state provides abundant scope for angling, boating, rafting, trekking and hiking. The Outer or Southern Himalayas, averaging 900 to 1,200 meters in elevation, lie between the Lesser Himalayas and the indo-Gangetic Plain. 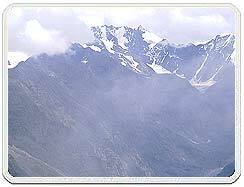 This southernmost range is often referred to as the Siwalik Hills, in Himachal Pradesh and Uttar Pradesh. It is possible to identify a fourth, and northernmost range, known as the Trans-Himalaya. This range is located entirely on the Qinghai-Xizang Plateau, north of the great west-to-east trending valley of the Yarlung Zangbo River. The submerged landmasses on either side started pushing towards each other, giving birth to these mountains. This was a relatively recent occurrence in the geographical time frame, so the Himalaya is considered a young and fragile land formation. Scientists speculate that the whole process took five to seven million years. Fossil finds at heights of over 8,000 metres (26,000 feet) support these theories. 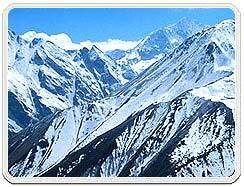 Also known as Lesser Himalayas, these Himalayas range from 1,500 to 5,000 meters in height. North East Himalayas located in northwestern India in the states of Himachal Pradesh and Uttar Pradesh, in north-central India in the state of Sikkim, and in northeastern India in the state of Arunachal Pradesh. Shimla (Simla) and Darjiling (Darjeeling) are the hill stations Located in the Lesser Himalayas. Although the Himalaya can be traced to the Arakans and Arunachal in the east, its majesty is truly encountered only when one reaches Bhutan and Sikkim. 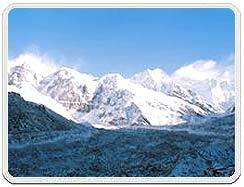 The 8,682 metre (28,483-foot)-tall Kanchenjunga overshadows all else in Sikkim. This beautiful mountain is considered sacred by Hindus and Buddhists alike and its name translates as the ' Treasure of Five Jewels'. It is the third-highest mountain in the world. All Himalayan ranges holds significant religious importance for one and all in India. So, do not drink, smoke, wear shoes in sacred places, touch people/take photographs of religious building or priest, Body exposure, romantic passes in public places. Do not abuse/hate Himalayan village people. Their culture and rituals may look odd/ unrational to you but they are very deeply concerned with them and are proud of what they are. Never take pictures/movies of army installations/buildings/army convoy/army people. India share it's borders with Pakistan, Bangla Desh and China and taking pictures knowingly-unknowingly may land you in big trouble which can be detention or imprisonment or both. Do not buy/sell/use drugs.You may land up in prison for such activities.